The AM4111T handheld digital microscope comes with a high quality 1.3 megapixel image sensor that views and takes highly detailed images for professionals who need all the quality software features but do not require measurement. This model is featured with the unique MicroTouch snapshot feature. The MicroTouch (touch sensitive static sensor) feature on the handheld digital microscope gives users the option of taking a picture right from the scope itself. The MicroTouch was designed to minimize image blur while taking a picture with the microscope. 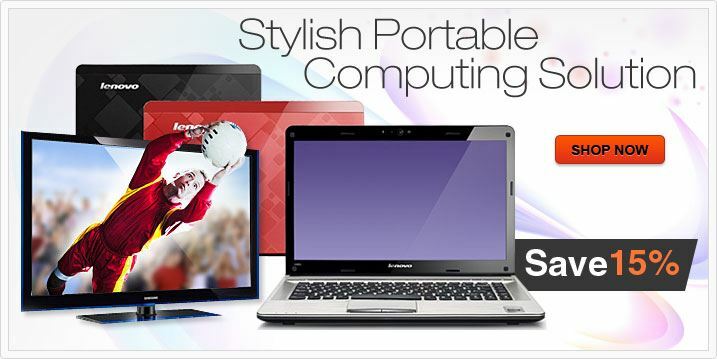 Great for those moments when you need to take a picture, but having a hard time reaching the computer. 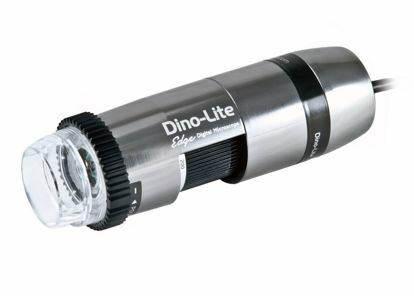 The Dino-Lite AM4113ZT is a 1.3 megapixel handheld digital microscope with adjustable polarization. Simply by rotating the polarizer filter, the handheld digital microscope AM4113ZT reduces or eliminates glare on reflective surfaces and also can provide the ability to see through the surface of fully or partially transparent materials, such as jewelry, skin, glass, and plastic, or see clearly the high reflectivity materials, such as metal or soldering. The handheld digital microscope AM4113ZT could be very useful in many applications including PCB, printing, machining, textile, jewelry, or skin care and more. 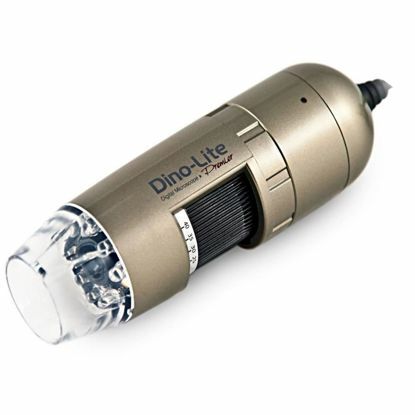 The Dino-Lite AM4113ZTS is a 1.3 megapixel handheld digital microscope with adjustable polarization with a shortened nozzle. The nozzle has been trimmed to allow contact-free examination of a subject at the highest magnification or (85x and 2nd focus 145x) magnification when you touch the object It is especially useful in suppressing glare from reflective materials, such as metals, plastics, or glass, and applicable in dermatology for observing the subdermal layer of skin. The popular variable cross polarization feature allows the user to effectively reduce the effects of glare and to help eliminate “hot spots” from highly reflective surfaces and providing uniform illumination to bring out more surface detail with minimal glare. The AM4113ZTS is the updated model number for AM413TZAS AM413ZTS. The Dino-Lite AM4113ZTL handheld digital microscope features longer working distance with an adjustable polarizer, and a 1.3MP sensor for a resolution of 1280 x 1024. This model has variable magnification depending of distance with longer working distances compared to standard models and a magnification range of 10x - 90x. 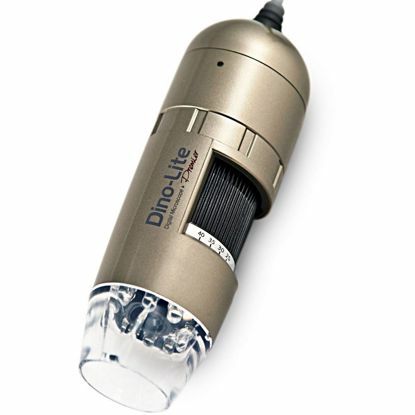 Dino-Lite models with longer working distances are great for applications that require a certain space between object and microscope to either work under or require a certain distance to view. With the adjustable polarizer, you can adjust the amount of glare that reflects from what you are viewing, so you can see fine details of surfaces by fully or partially removing the reflection of semi-transparent materials like; jewelry, glass, or plastic. It is also ideal for examining highly reflective materials, such as metals or solder joints. 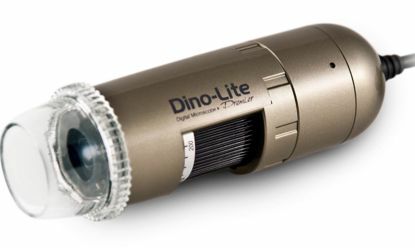 The Dino-Lite 5MP Edge AM7115MZT delivers unsurpassed image quality with a magnification range from 20x to 220x and now with illumination flexibility options. Integrated with cutting-edge optics, advanced 5MP sensor, and low-loss MJPEG compression, the AM7115MZT provides incredibly crisp and fluent imaging with low power consumption. The innovative Flexible LED Control (FLC) enables partial illumination to enhance edge contrast and provides intensity adjustment for better adaptability. Together with built-on polarizer, interchangeable front caps, and rugged metal housing, the AM7115MZT is made to be the tool of choice for wide range of applications. The AM7115MZTW Dino-Lite Edge delivers 5MP image quality with Wide Field-of-View (WFOV) and Depth-of-Field (DOF), which makes it ideal for macro viewing applications. With a working distance of more than 1cm from the target, once in focus, rotating the knob will receive another focal point, and thus effectively zoom in the image optically. This offers the capability of looking into more detail while enjoying a larger field of view. The freely adjustable polarizer helps to reveal more detail or to enhance the contrast on the surface by reducing or eliminating the reflections. 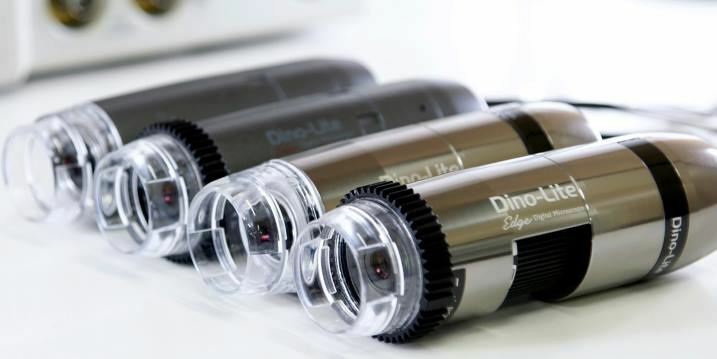 This model includes the adaptable cap design, a detachable and interchangeable front cap design used in the Dino-Lite Edge series. Different caps have been developed for more applications. 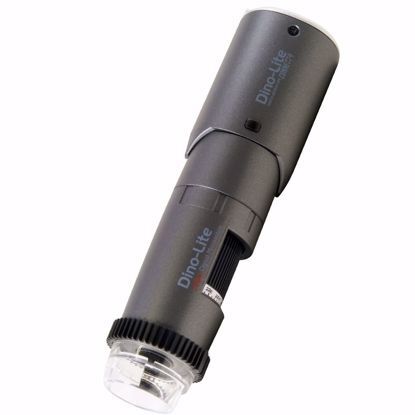 Simply removing the cap would yield more working distance which brings added convenience in the higher magnification range, or have better accessibility to the full range of magnification.